Offshore wind developer Ørsted has entered into a partnership agreement with a coalition of US fishing industry associations to improve communications between the two sectors. The non-binding agreement with the Responsible Offshore Development Alliance (Roda), believed to be the first of its kind, will enable commercial fishermen to provide direct input to the wind power industry. Ørsted and Roda will create a joint industry task force to explore improved approaches to project siting, design and operations. Roda is a coalition of fishing industry associations and fishing companies based from Maine to Northern Carolina. Roda added it wants to ensure the fishing industry’s input at-large is received, considered, and accommodated during leasing, design, construction and operation of offshore wind. The two partners stated they had already discussed navigation concerns, including transit lanes and turbine layouts, and other potential areas of conflilct. 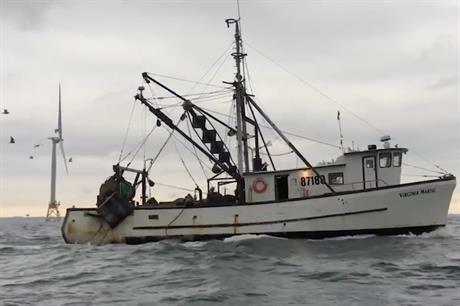 They added they encourage other developers and commercial fishermen to joint partnership. "The fishing community must be considered as offshore wind development continues in the US," said CEO of Ørsted US Offshore Wind and president of Ørsted North America, Thomas Brostrøm. "Through this partnership, we will be able to share our concerns in a productive way and develop practical solutions as we all seek to coexist." Following the acquisition of US developer Deepwater Wind, Ørsted now operates the 30MW Block Island project off the coast of Rhode Island – the US’ first and only offshore wind farm, at which fish are apparently thriving. It also now has a US pipeline totalling more than 8GW across seven states. In December 2018, it secured a 20-year power deal with two Connecticut utilities for output from a 200MW portion of its 600MW Revolution Wind site. That same month, however, it was left empty-handed in Massachusetts’ record-shattering offshore lease auction. Roda executive director Annie Hawkins said: "Partnering with Ørsted is a significant step forward as we look to strengthen our ongoing dialogue between commercial fishermen and offshore wind developers. "Roda believes that we need to develop solutions for offshore wind energy and commercial fishing to coexist, and today’s announcement will support future sustainability for both industries."